Noting that contact centers often struggle to deliver exceptional customer service while cutting costs, Forrester Research suggests that a gig economy labor model can help companies achieve both goals. 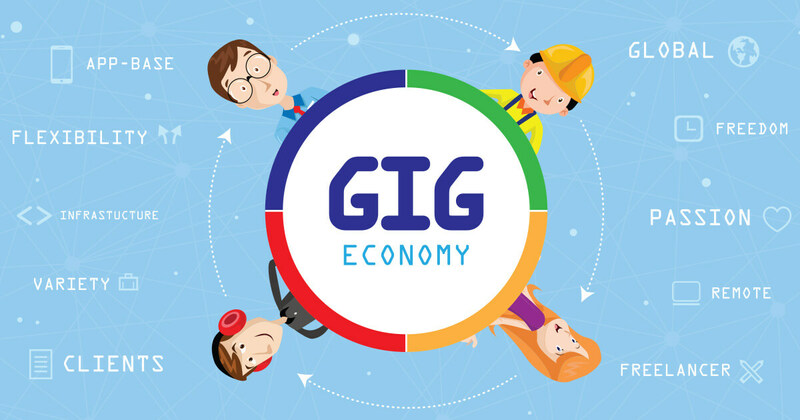 The gig economy can include people who have full-time jobs but pick up on-demand jobs on the side to earn extra income or those for whom on-demand jobs are the primary source of income. This labor market has been increasing dramatically since 1995, when just 7 percent of Americans worked freelance or part-time. By contrast, 35 percent did so last year, and these types of employees are expected to make up 43 percent of the population by 2020, according to the U.S. Bureau of Labor Statistics. Contact centers filling slots with these kinds of workers can tap into peer-to-peer communities to identify people who might be interested in taking on freelance customer service work, according to a recent Forrester report. These communities, whether company-owned, such as Apple’s Support Communities, or independent, such as FlyerTalk, consist of consumers who ask each other questions about companies’ products or services. Many of these forums have identifiable experts who answer a lot of questions and do so very well. “The big key here is that you’re actually choosing people who are experts in the product or service you’re offering, and that leads to numerous advantages in terms of customer service experience,” says Ian Jacobs, a principal analyst at Forrester and primary author of the report. Recruiting such experts for freelance work can yield three major benefits, the report says. Outside experts are viewed as more authentic, they have experiential understanding, and they have chosen the specific piece of work. Contact center agents get paid the same no matter how many customer problems they solve. Gig economy experts, on the other hand, are only paid when they solve problems. Additionally, because gig economy platforms tend to be performance-based, each individual case is important and can impact an expert’s ability to receive future work, according to the report. In terms of experiential understanding, the report notes that using and enjoying a company’s products or services is not usually one of the criteria for selecting contact center agents. Gig economy experts, by contrast, possess hands-on experience with those products and services, and “that’s why they were chosen,” Jacobs says. And unlike contact center agents, who have their work served up to them one interaction at a time and aren’t allowed to cherry-pick interactions or questions, gig economy experts can pick only the problems they know they can solve. They “are basically raising their hands and saying, ‘I know this,’” Jacobs says. The report cites LinkedIn as one company that has seen success with the gig economy labor model for customer service. The company uses the Directly platform to route lower-value questions from its employee agents to experts and found that 15 percent to 17 percent of the work originally headed to its contact center could be sent to freelance experts instead. In so doing, LinkedIn reduced operational costs while still maintaining its standard of customer service. Other companies, including Microsoft, Samsung, and Autodesk, have also taken advantage of the gig economy with positive results, according to a related report from Ovum.